Our response to 9/11 generated much interest among the Muslims of Western UP, dominated by Deoband School. This led to nonviolence campaign supported by most reputed Islamic theologian of the Deoband School late Sheikh Ul Hadith Maulana Anjar Shah Kashmir, and highly respected educationist Janab Syed Hamid. Hundreds joined this campaign. Hind Swaraj was demanded in Urdu. We found only one copy with the National Gandhi Museum, Delhi. Got five copies photo copied, gave away to five well educated literary Muslim friends to find out how was the translation. They all confirmed that it was only Urdu script of the Hindi version. Thus started our effort to translate it in Urdu. We encouraged a young associate in Nonviolence campaign, Arshad Qureshi from Sharanpur who had good command over Urdu language to undertake this challenging task. While translating we matched Gajrati and English versions with Hindi and then finalized the Urdu sentence by sentence. (Gandhi wrote it in Gujarati and over saw its English translation by a close associate of him) It was a sacred work. We got the final text checked and corrected. We asked another Urdu calligrapher friend to make a press copy. The Book was launched on the day of the Centenary of Satyagraha, 11 Sept 2006 at the hands of Janab Syed Hamid, and Maulana Anjar Shah Kashmiri in the presence of Ven Samdhong Rinpoche, our Teacher and Guru; and more than 700 Muslim youths from Western UP who had taken part in the nonviolence campaign. 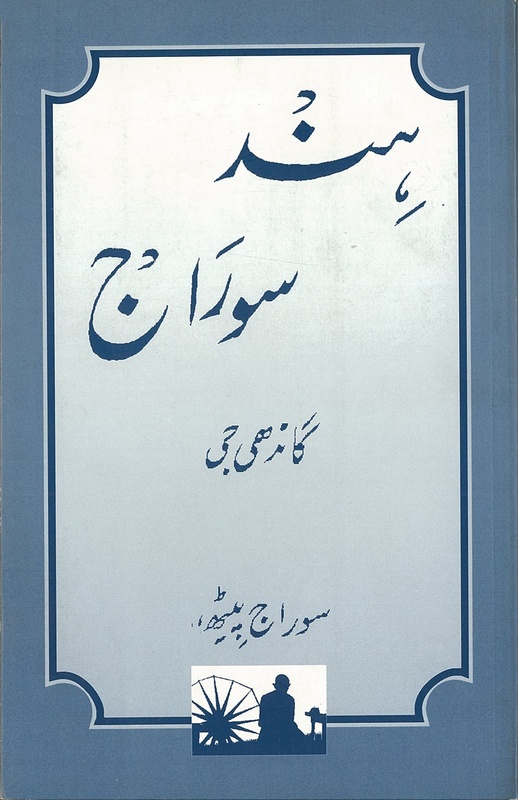 Syed Hamid wrote in Major Urdu Daily “ How come Urdu readers were deprived of this most essential text of non but Gandhiji! “ He acclaimed Swaraj Peeth for this historic work of great service.